The Avianca LifeMiles program makes it easy to both earn and purchase its airline miles to use for an award flight. Avianca not only offers 2 co-branded credits for the U.S. market but the airline also partners with 4 of the 5 transferable point programs. Banco Popular is Avianca’s co-branded partner that offers 2 credit cards for those who live in the U.S. The Avianca Vida and Avianca Vuela cards cater to the low and medium annual fee market, as well as come with respectable welcome bonus offers. We recommend looking into both cards if you’re looking to earn Avianca miles directly with your spend. Amex continues to be one of the heavyweights in the transferable point credit card game and shows no signs of slowing down. What’s great about Amex is the valuable airline partners customers have access to along with the regular transfer bonuses Amex offers. Citi is one of the 5 transferable point programs, however, it’s much more challenging to earn Citi ThankYou points. The reason earning ThankYou points is difficult is because the bank simply doesn’t offer the number of credit cards that you’ll see from the likes of Amex and Chase. While earning ThankYou points can be a pain, it’s not all bad news with Citi. Mirroring Amex, Citi offers airline transfer bonuses throughout the year to some of its airline partners, which helps to increase the value of its points. The acquisition of SPG and the subsequent revamp to the new Marriott Bonvoy program has been challenging for those looking to redeem Marriott points. Challenges with the new program are well-documented, however, the program can be good for a couple of reasons. The first deals with the transfer bonus. For every 60,000 Marriott points that are transferred to an airline partner, you’ll receive a 5,000-point bonus in the form of airline miles. Marriott to Avianca transfers are 3:1, so 60,000 Marriott Bonvoy points become 25,000 Avianca LifeMiles with the 5,000-point bonus (60,000 / 3 = 20,000 * 25% bonus = 25,000). The second positive with Marriott is that members have access to airlines unique to Marriott’s program, like Alaska Airlines. Capital One has been the biggest mover of late with the new ability to transfer points into airline miles. Obviously, this is excellent news for consumers as we now have 5 transferable point programs to choose from. The main point to address with Capital One is that its business credit cards count against your 5/24 count. If you’re not familiar with the 5/24 rule, we have a post covering it in detail here. Putting together the right strategy of Capital One business and personal credit cards will open up a ton of opportunities to earn more Capital One points. An excellent beginner card for lower credit scores. Hilton is a hotel partner but you won’t want to transfer points from it to an airline. The reason is because the transfer ratio is terrible, and thus yields subpar value. If you’re topping off an account or are in a bind, those are the only reasons to transfer points from Hilton to Avianca. Avianca, coming up on its 100th birthday, is the national airline of Colombia. The main hub for Avianca flights is El Dorado International Airport (BOG) in Bogotá. 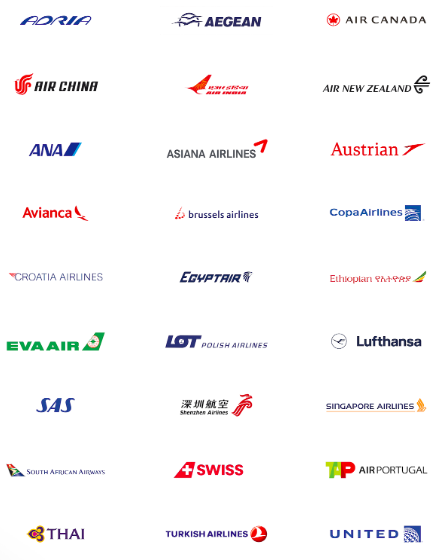 A Star Alliance airline member, Avianca joins the like of Air Canada, Air New Zealand, and Swiss International Air Lines. 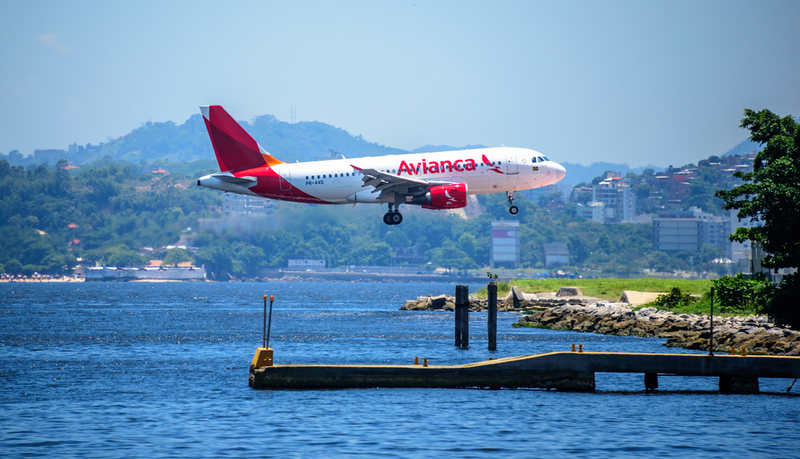 What’s great about being in one of the major airline alliances is the fact that flyers with Avianca miles can use those miles for flights on any airline in the alliance. For example, Avianca miles can be redeemed for United Airlines flights. LifeMiles is Avianca’s frequent flyer program where members have the opportunity to not only earn LifeMiles but also redeem them. Elite status in the LifeMiles program is earned by accruing the required Qualifying Miles or Qualifying Segments between January and December of each year. Qualifying Miles when flying on Avianca and/or Star Alliance partners are calculated based on the actual mileage flown plus additional bonuses awarded by the fare class purchased. The Qualifying Miles that you earn are the same miles that you’ll use to redeem for an award flight. In addition to using miles for award flights, LifeMiles can be redeemed for hotel stays, car rentals, and experiences. Bottom Line: To sum up, Avianca is a great partner to have in the Star Alliance because of the value you can receive when redeeming LifeMiles for award flights. Creating a LifeMiles account is free. Simply head to this page and complete your membership application. With a LifeMiles membership, members receive the opportunity to both earn and redeem miles earned in their account. Your LifeMiles number or username and password are all that you’ll need to log in to your account. Avianca LifeMiles Login Screen. Image courtesy of LifeMiles.com. Hot Tip:Avianca won’t show all of the Star Alliance award availability that you’ll find on the United and Aeroplan websites. LifeMiles are valid for 12 months, and the only way to extend the expiration of those miles is to earn more LifeMiles. Avianca Elite Status. Image courtesy of LifeMiles.com. 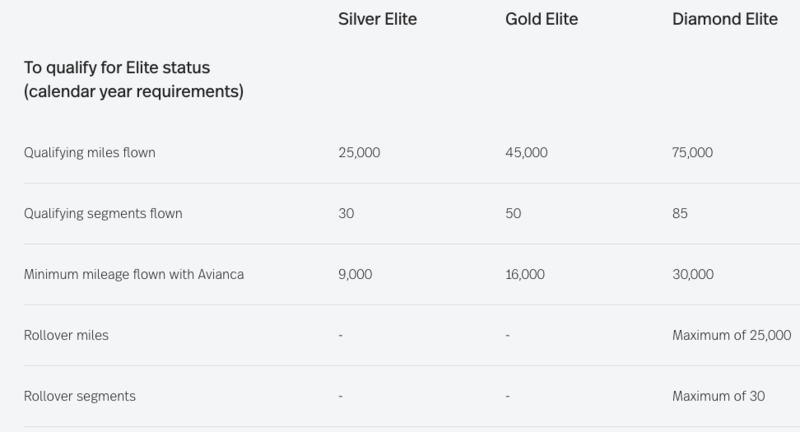 The LifeMiles program has 3 elite tiers in Silver Elite, Gold Elite, and Diamond Elite. By earning higher elite tiers, program members open up benefits that include upgrades, lounge access, and Star Alliance status matches. As we cover each elite tier, it’s important to note that higher elite tiers include all of the benefits of the preceding elite tier. Hop over to the Elite Member Benefits page for an even deeper dive into the elite benefits available in the LifeMiles program. 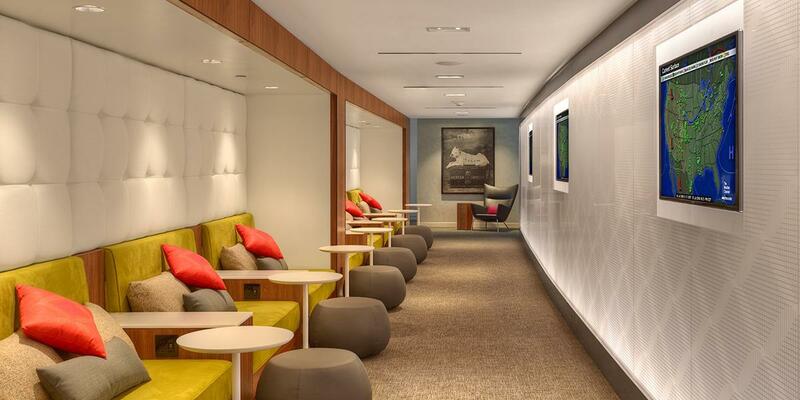 Bottom Line: Avianca clearly focuses on upgrades and lounge access as benefits that are available to elite members. Avianca elite status is clearly valuable, however, you’ll need to fly Star Alliance airlines to make the most of it. 2 yearly upgrade certificates and additional lounge access is interesting for travelers who are able to earn Diamond status. If you’re a traveler who values upgrades, lounge access, and bonus points from flying, Avianca is an elite program to consider. Bottom Line: Assuming you can cost-effectively earn Gold or Diamond status, Avianca provides a host of perks that are worth it. Avianca elite status qualification. Image courtesy of LifeMiles.com. LifeMiles elite status is determined by the amount of Qualifying Miles and Qualifying Segments that you fly. The program also requires that a portion of the Qualifying Miles be flown on Avianca flights. Avianca members earn Qualifying Miles when flying on Avianca and/or Star Alliance airline partners based on the actual mileage flown plus additional bonuses awarded by the fare class purchased. For each elite tier, a member must earn the required number of Qualifying Miles and Qualifying Segments. Silver requires 25,000 miles, 30 segments, and 9,000 miles on Avianca. Gold requires 45,000 miles, 50 segments, and 16,000 miles on Avianca. Diamond requires 75,000 miles, 85 segments, and 30,000 miles on Avianca. With Diamond, a maximum of 25,000 miles and 30 segments can be rolled over to the following year’s elite status qualification. Bottom Line: The LifeMiles program resembles many changes we’ve seen to award programs where a portion of the Qualifying Miles must come from the host airlines, which is this case is Avianca flights. What’s great about the LifeMiles program is that it partners with 4 of the 5 transferable point programs. In addition, its miles are frequently sold at a discount allowing you to use those purchased miles for an award flight. Avianca also offers co-branded credit cards where your spend directly earns LifeMiles without the need to transfer miles in from another program. A combination of all 3 of these earning strategies will ensure a constant flow of LifeMiles into your account. Qualifying Miles are what you’re after in the LifeMiles program. The miles are determined based on the distance that you fly and the fare class purchased. Avianca has an accrual page showing the number of miles that you’ll earn based on the fare class of your flight. You’ll need to do the calculation on your end but simply use Great Circle Mapper, the accrual page, and add any bonus elite tier miles to determine what you’ll earn. Star Alliance member airlines. Image courtesy of staralliancemembers.org. Calculating the miles that you’ll earn from Star Alliance partner flights is easy as well. Head to the partner accrual page, select the airline that you’re flying, and see the flight accrual rates for your fare class. Avianca has two additional airline partnerships with Aeromexico and Iberia. The accrual rates work the same as Star Alliance partners so head to each airlines’ respective page to see the miles you’ll earn. Transferable point credit cards and Banco Popular will be your ticket to earning LifeMiles without stepping onto a flight. With the 4 transferable point partners and 2 Avianca credit cards, you’ll have plenty of ways to earn Avianca LifeMiles. Avianca has even more ways to earn its miles that don’t involve flying. Check out the list of partners that include shopping, hotel, and rental car companies where your spend directly earns LifeMiles. The last way to earn LifeMiles without flying is to keep a pulse on the Avianca Facebook, Twitter, and Promotions pages. Hot Tip: Airlines like Avianca won’t allow you to double dip by earning elite status miles at the same time that you’re earning miles from shopping, hotel stays, and car rentals. Using LifeMiles for award flights will yield the most value for your miles, however, there are additional ways that miles can be used. Avianca makes it easy to see the amount of LifeMiles required for each partner flight by putting the award charts on this page. Simply click on the partner that you’d like to use your LifeMiles on, and the associated partner page will show the number of miles required. When flying on Avianca, you’ll need to run an award search to see the number of miles required for your flight. The number of miles is driven by the partner, fare class, and region. It’s important to note that Avianca offers a LifeMiles + Money option. This means that you can reduce the number of miles needed but using a cash co-pay. Avianca Award Search. Image courtesy of LifeMiles.com. When you get comfortable running award searches for Avianca flights, check out the partner airlines award chart page. 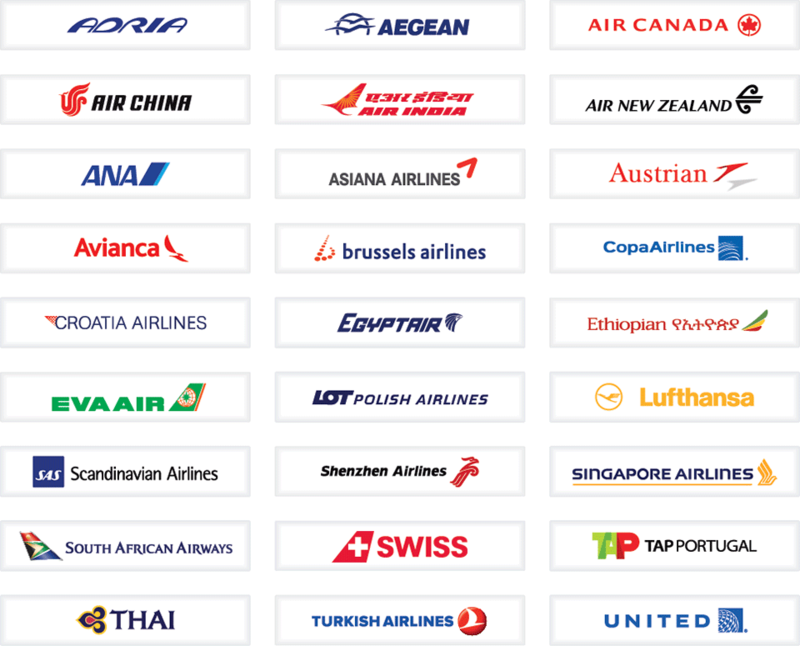 Star Alliance partner airlines. Image courtesy of LifeMiles.com. Hot Tip: For those of you who want the full gamut of sweet spots, we have an entire post on the best ways to redeem LifeMiles. The Avianca partner page is the place to go when you’re ready to use LifeMiles. This is where it gets tricky with Avianca. Yes, the airline does have favorable award prices for some routes, however, Avianca is notorious for not showing the same partner space that you’ll find on United and Aeroplan. While seeing the same award space is getting better, it’s certainly not a perfect match. On top of that is the fact that Avianca phone agents are notoriously difficult to deal with. My personal recommendation is to confirm award space on United and Aeroplan first, and then find that award space on Avianca. If you can avoid calling Avianca, it’s in your best interest. Hot Tip: Expert Flyer is the go-to site if you are searching for hard-to-find partner flights. What is the Avianca LifeMiles program? Is it worth it? What are the benefits? The free frequent flyer program of Avianca is called LifeMiles. With your free membership, you’ll have the ability to work your way towards elite status, earn miles, and redeem miles for an award flight. Qualifying Miles and Qualifying Segments are what Avianca uses to determine who earns elite status every year. 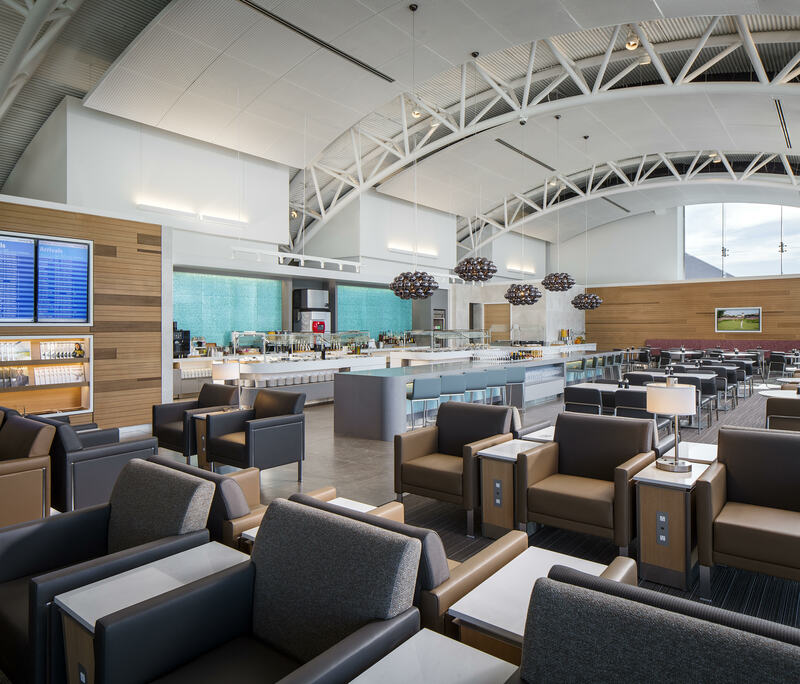 Upgrades and lounge access are the primary benefits for those who earn the highest elite tiers in the LifeMiles program. Avianca is a Star Alliance member so members with LifeMiles can use those miles for Avianca and partner airline flights. In LifeMiles, who are the partners? Can I transfer miles to them? LifeMiles members have a number of ways to earn miles. Credit card spend, shopping, hotel stays, and car rentals are the primary ways to earn LifeMiles that don’t involve flying. When the time comes to redeem LifeMiles, Avianca and partner flights are the best ways to use your miles. It’s important to note that you can transfer points from Amex, Citi, Marriott, and Capital One, but you can’t transfer miles from another airline program to Avianca. 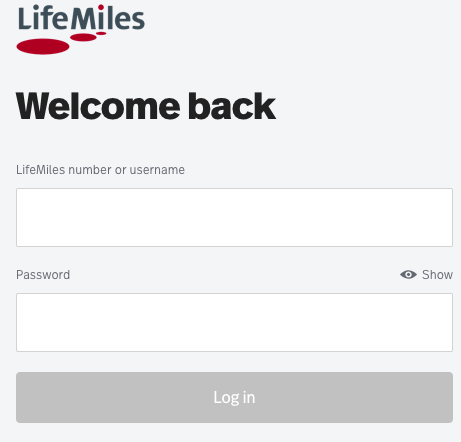 What is the LifeMiles login? Access your LifeMiles account through the login page. Where can I sign up for LifeMiles? Anyone can sign up for a free LifeMiles account by completing this application. What is my LifeMiles number? You can find your LifeMiles number by signing in to your account, looking on your membership card, or through a variety of marketing emails Avianca sends to you. If you can’t find it there, try using the forgot my password tool to reset your account so you can get in. Alternatively, you can call the customer service desk to find your number. When do miles post in LifeMiles? LifeMiles earned from flying should post into your account within 7 days of the date of travel. LifeMiles expire every 12 months. When does LifeMiles status expire? Elite status is valid the year in which a member qualifies plus the subsequent January to December of the following year. Is there an Avianca credit card? Absolutely! Banco Popular has 2 co-branded Avianca credit cards available to those who live in the U.S.
Can you hold an award flight with Avianca? Avianca will not allow you to hold an award flight.